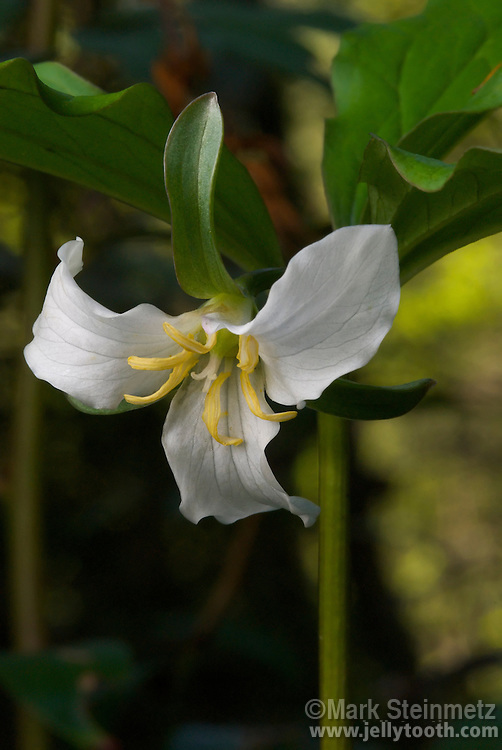 Catesby's Trillium (Trillium catesbaei), a rare trillium native to a small region of the eastern United States, centered around the Southern Appalachians. The only foliage of all trillium are its three leaves. Unlike many other species of spring wildflowers, it can take six years for the herb to flower. Smoky Mountains, TN, USA.